I was born and raised near Cincinnati, Ohio. The Lord drew me to himself at the age of 11. After that I immediately desired/began to serve in ministry and have sought as many opportunities as I can to do so ever since. After high school I spent 2 years at Bluffton University studying piano before transferring to Liberty University in Virginia, where I completed a B.M. in 2005. While at Liberty I met my wife, Jenn, whom I married after graduation. For the next 3 years I studied at The Southern Baptist Theological Seminary in Louisville, KY, where I graduated with an M.Div. in May of 2009. During this time I also served as Associate Pastor at Kenwood Baptist Church. In the Fall of 2009 I began a Ph.D. in Old Testament at Southern Seminary under the supervision of Dr. Duane Garrett. I recently completed this degree in December, 2013. 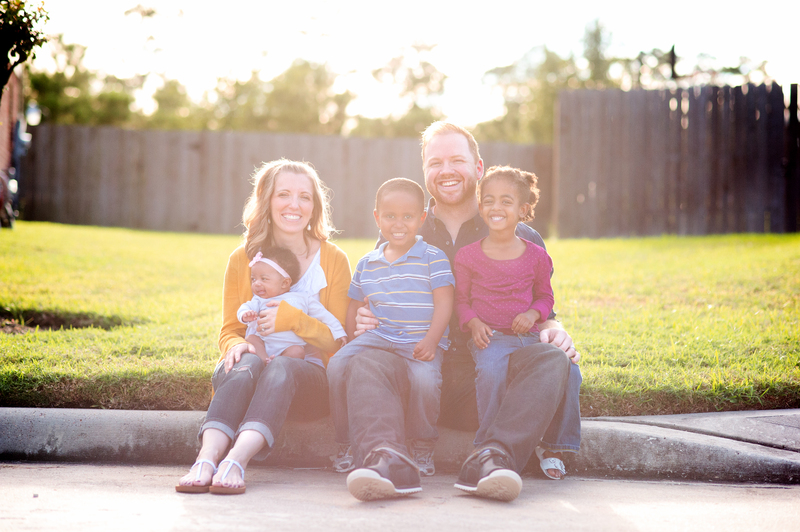 In March of 2010 my wife and I welcomed two children into our lives by way of adoption in Ethiopia, and in 2012, we moved to Spring, TX where I am currently serving as the Pastor for Worship & Administration at Founders Baptist Church. In August of 2013, we completed our second adoption and welcomed a newborn girl into the Philpot home. I enjoy a wide array of activities, like spending time with Jenn and my kids (Isaiah, Eliana and Mikaela), playing the piano, watching movies, reading literature, playing sports, going to Reds games, and listening to good music. This blog is intended to be a place where I might dialogue with others on topics related to Old Testament studies, music, and the church. Welcome to the blogosphere (though I see you’ve been around for a few months now…)! We’ll look forward to your thoughts and studies. Welcome! I will continue to check in. BTW, I see you have an error in your OT blogroll. My blog is hesed we ’emet, but the link when you click on it leads to Richard’s YHWH malak blog. Perhaps you could fix this so the link goes to the proper place (the link to my blog is easy: hesedweemet dot wordpress dot com). Sorry about the link! It’s now fixed. Thanks! I am happy to have located you. Through a recently added friend on my Facebook, I learned of the Visual Bookshelf, and it was there that I read your review of The Shack. I attempted to send you a message through that site but was unable to do so. I only wanted to tell you that I thought your review was helpful. I had read the book much too casually; it was a feel-good story, and I didn’t make any attempts to test it against Scripture. I normally don’t read novels, let alone alone those with a Christian theme. I can see you’re a very busy man, so I will cut this short and just thank you for your insight. https://joshphilpot.com/category/interpretive-challenges-in-the-ot/) in a presentation I am preparing for early sep 2010. It is the one of the foot crushing the snake. Can you direct me to the original source so I can gain permission to use it? I think I just googled something like “Genesis 3:15” or “crush serpent” and I found this picture on Google Images. I’m sure that you can use it, either from my page or from Google. Hey Josh, good to see a pic of you and the fam! Hope all is going well with you all. I came across your site by searching for music. Your piano recordings are wonderful! Are your arrangements available for sale? I actually don’t sell anything, and since the recordings are simply improvisations I don’t actually have arrangements. So, feel free to download the mp3’s and enjoy! Thanks for your kind comments. I am an old time friend of Jennifer’s from her Roosevelt days and I was so, so happy to find her here!!!! Past Christmas cards have returned to me. I used to work on staff with Campus Crusade for Christ. I logged a lot of time praying for Jennifer! Funny thing is, we just moved to Louisville from Chicago – and you are no longer here! Please email me your mailing address at teambell@sbcglobal.net with your snail mail address. We would like to add you to our Christmas letter list. (And feel free to delete this post when you’ve done so.) God bless you – so great to see your 2 kids!!! Hi I love your piano recordings on your site. I was wondering if there is anyway to get a copy of the recordings? Especially the song how sweet and awful is this place. I have been looking for instrumental music of that song my dad’s favorite hymn. God Bess your ministry. Hi Becky, you should be able to download the files directly from this site. Just right-click on the file you want and click “save as.” Then you can download it to your computer. I’m glad you like them! Hello, I just came across your post on Dr Hamilton reading Scripture [https://joshphilpot.com/2010/06/30/old-testament-readings-anonymous-elders-and-jim-hamilton/]. I was interested in what your service orders would look like having the two Scripture readings. Would you mind emailing me a few samples: jbotkin47[at]gmail[dot]com. Thanks!